Members of the Fayette County Honor Guard presented colors on Saturday evening and enjoyed LaRue’s story of Paul Hughey. Dan Roberts — former Miami Trace superintendent — introduced the various guests and emceed the event. Washington Court House City Council member Jim Chrisman read a proclamation during the event from the city. Fayette County Commissioner Dan Dean reads a county proclamation for the post Saturday evening. 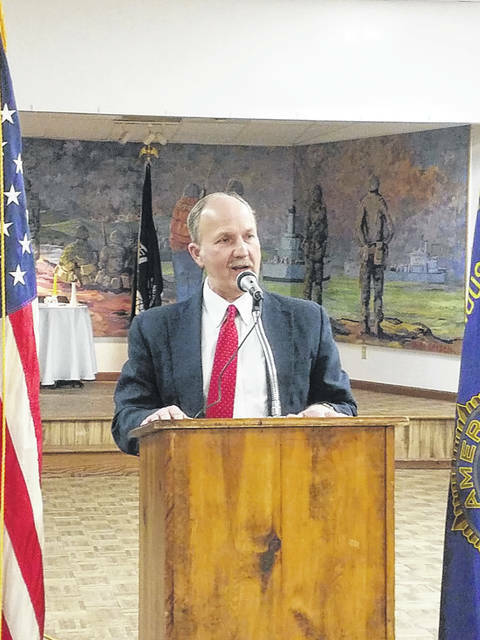 On Saturday evening, local historian Paul LaRue helped honor the 100 years of service of the American Legion Post 25 and the life of Paul H. Hughey — whom the post is named after. 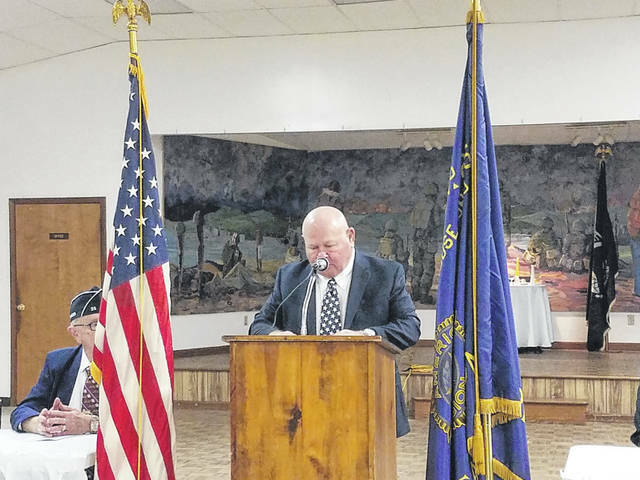 On Saturday evening, local leaders and residents gathered at the Paul H. Hughey American Legion Post 25 for the post’s 100 years of service celebration. The program started around 7 p.m. with members of the Fayette County Honor Guard presenting colors and those in attendance reciting the Pledge of Allegiance. Dan Roberts — former Miami Trace superintendent — introduced the various guests, which included city and county officials. Both Washington Court House City Council member Jim Chrisman and Fayette County Commissioner Dan Dean read proclamations to the crowd. Roberts said the community has a highly-recognized history with the iconic courthouse, spacious fairgrounds, surrounding rich farmlands and most importantly, its people. He said the community has been blessed with native sons and daughters whose presence still shapes Washington Court House and Fayette County. LaRue, a retired teacher and local historian, then took to the podium and began telling the story of 1st Lt. Paul H. Hughey. According to LaRue, Fayette County lost 48 service members in World War I, including Hughey. He said what makes Hughey’s story fascinating is his connection with the Army’s pre-Air Force days. LaRue asked why not machine guns? The trickiest part in the beginning, he said, was the machine gun shooting off the propeller. A little time passed before the Germans would develop a timing gear that made machine guns on planes a possibility. He said over time, the pilots would realize they needed two things to be successful in the air: good eyesight and the ability to get close. LaRue said that by the time Hughey made it to France, it was February 1918 and air warfare has changed dramatically. Hughey joined the 91st Aero Squadron of the First Army Observation Group, and they had a fairly straightforward purpose: long-range reconnaissance. They had two ways they would observe, either through photographs or what they called visual observations. The letter Hughey wrote to his mother really resonated with LaRue though, and he continued to think about it for some time. 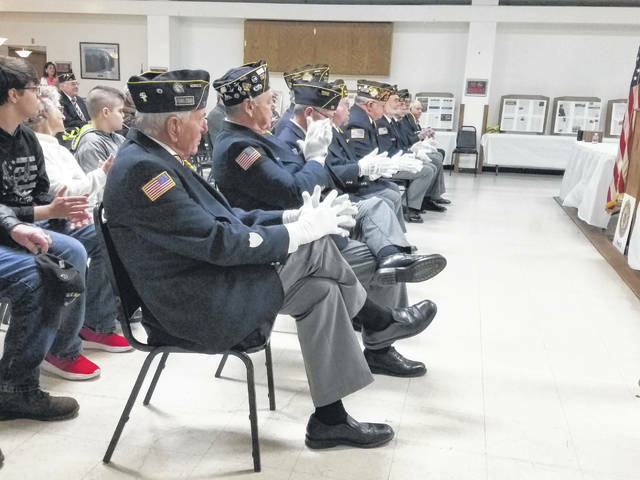 Though he did not get credit for taking down the German plane, LaRue said Hughey did in some way get credit as being memorialized for the past 100 years as the namesake of the local American Legion Post 25.
https://www.recordherald.com/wp-content/uploads/sites/27/2019/03/web1_20190323_190035.jpgMembers of the Fayette County Honor Guard presented colors on Saturday evening and enjoyed LaRue’s story of Paul Hughey. https://www.recordherald.com/wp-content/uploads/sites/27/2019/03/web1_20190323_190321-0-.jpgDan Roberts — former Miami Trace superintendent — introduced the various guests and emceed the event. 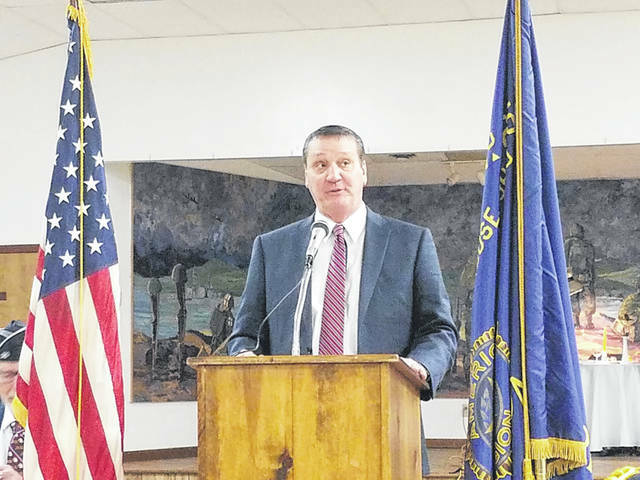 https://www.recordherald.com/wp-content/uploads/sites/27/2019/03/web1_20190323_190742.jpgWashington Court House City Council member Jim Chrisman read a proclamation during the event from the city. https://www.recordherald.com/wp-content/uploads/sites/27/2019/03/web1_20190323_191029.jpgFayette County Commissioner Dan Dean reads a county proclamation for the post Saturday evening. 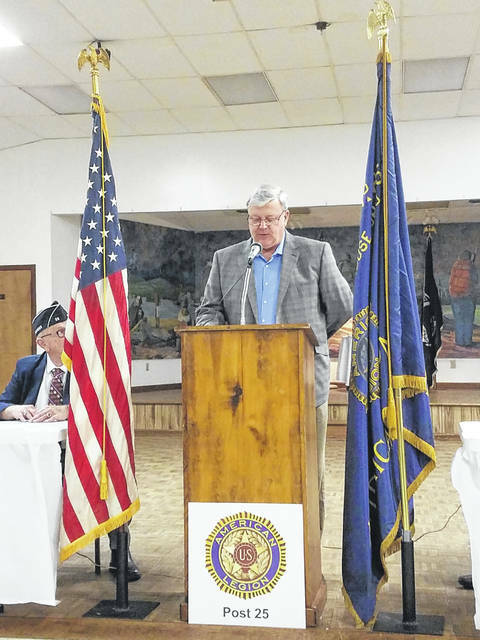 https://www.recordherald.com/wp-content/uploads/sites/27/2019/03/web1_20190323_191315.jpgOn Saturday evening, local historian Paul LaRue helped honor the 100 years of service of the American Legion Post 25 and the life of Paul H. Hughey — whom the post is named after.